About the only thing I can really say for this film is that it is beautifully shot. Sadly, as I understand it, this film isn't very factual. As historian Geoffrey Ward explained to NPR this film got quite a lot wrong. So will it be like Hitchcock where they get some facts wrong, but still manage to present an interesting story with strong characters? Well, Hitchcock may have gotten a few of the facts wrong, but they did, perhaps, add to the legend that was Alfred Hitchcock. The Legend, for some, may be more interesting than the real man, but can that be said of FDR? 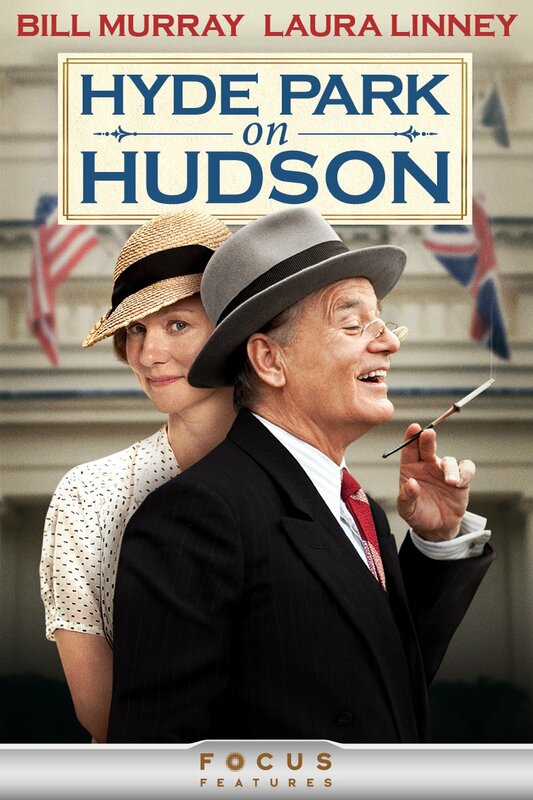 I love Bill Murray, but I'm not sure whether he was the best choice for the role. He seems to portray him as a rather jolly man who happened to seduce many women by showing them his stamp collection. If something there sounds off, it should. No one attracts women with stamp collections, and considering the times, I'm not sure Roosevelt was all that jolly. King George VI comes to visit, which turns out to be more interesting than the building relationship between Roosevelt and Daisy. However, in 2010 Colin Firth won an Oscar for playing the role of "Bertie" in The King's Speech, which is a far better film. The film also seems to have an alternating voice. We start following and experiencing things through Daisy's eyes, and yet eventually things shift to Bertie's perspective while he meets the President and has a non-factual conversation with him. As a result of this alternating voice, neither ends up being that strong. In fact, as good as Laura Linney may be as an actress, I just didn't care about her in this film. I'm not even sure why either of these people would fall for one another, and I certainly didn't care or feel bad for Daisy when she found out that FDR had "relations" with women besides her. If this is the main point of the film that we are supposed to be watching it's a failure, and what's worse is, it isn't even true. More for your fact checking pleasure. 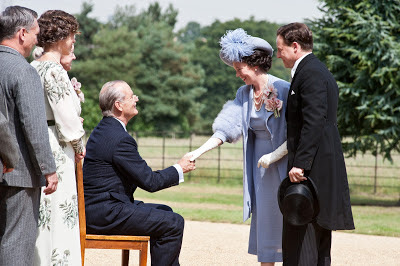 Clearly King George VI had important things to speak with the President about, and as we know America was on the verge of joining WW2, and yet this film ignores that in favor of creating a false relationship with his cousin. In his review, Ebert explains that this film is not a serious historical film, and is supposed to be mostly a comedy. I missed that somewhere I guess. Aside from the film not really being funny, it also seems to have a fairly serious tone for a good portion of the film. It seems to want us to care about Daisy and her relationship with Roosevelt (despite a lack of character building). If it isn't supposed to be a serious historical film then what is it? Tarantino's Inglourious Basterds is very clearly going for historical fiction, and he does it in a way that is upfront and works. This film does not.